we are Tomorrow… independent recruiters for the creative industries. We work with exceptional talent across design, production, client services and support. We find permanent or freelance people for London’s finest creative companies. When you’re looking to recruit a talented individual or team, we offer personal, dedicated support that you can rely on. We know the design industry. And a core part of our service is to get to know the people we work with so that we can provide the best, most efficient results. We nurture friendly and professional relationships with each and every one of our extensive networks, to connect likeminded people and forge the perfect partnerships. Our longstanding relationships are built on loyalty and a flexible, refreshing approach to recruitment. Whether you’re a boutique agency, large market leader or somewhere in between – we want to help you deliver beautiful design, by engaging the best, most talented permanent and freelance staff on the market. Founded in 2011 by Emma Bond and Hannah Law, Tomorrow… was established to help talented people connect. We take our work seriously – ourselves, not so. We love what we do. Throughout our many years of combined experience we’ve united people to see ideas turn into results. We’re knowledgeable, passionate and work hard to help you find what you’re looking for. 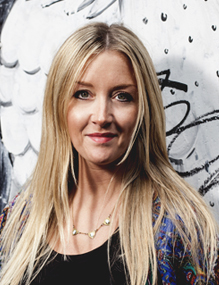 Emma has a degree in Design Management and years of experience in recruitment for the creative industries. Emma’s impressive success rate continues through to today, although she’s less involved in matching client and candidate roles and more involved in championing the company ethos and abilities of the team. Her strategic and methodical approach to recruitment is a real asset to Tomorrow. Hannah’s passion for creative recruitment never dwindles. In addition to her design degree, she brings years of experience working for London’s top agencies and has a detailed knowledge of the design industry. This knowledge and gusto enables her to push the Tomorrow brand forward, nurturing our team, our clients and our candidates to ensure that we’re the best. James has a talent to forge exceptional relationships with his clients and loyal freelancers. 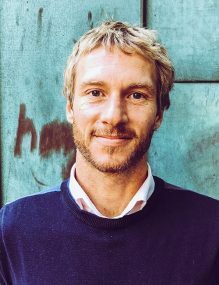 His ability to identify talent, work to deadlines and think creatively has been strengthened by his background in the busy world of PR and communications. James knows the needs of his clients and candidates – and never disappoints. 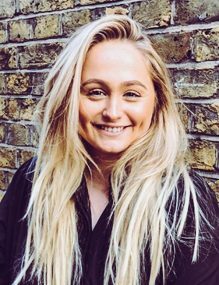 Laura’s infectious personality and aptitude to identify top talent, means she has one of the best freelance networks in London. Specialising in placing freelance creatives, her drive to succeed and hands on experience, gives her the knowledge and ability to source high demand creatives on tight deadlines. Resulting in happy clients! Ben has flare for finding the right people. 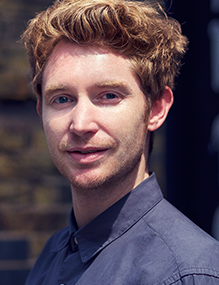 With a solid agency background, Ben specialises in the recruitment of permanent designers. With a graphic design degree to boot, understanding the ins and outs of the design process is second nature. Michael has an exceptional knowledge of recruitment, working within the industry across several sectors before specialising within the creative. Studying Fine Art at University, Michael understands how creatives tick and works with designers in helping them find their next perfect position. On top of this, Michael is a delight to work with, creating long lasting relationships wherever he goes. 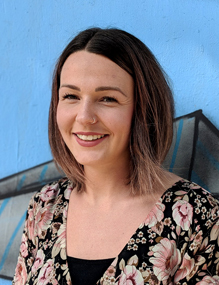 With a strong background in digital and creative recruitment for leading brands and world-renowned agencies, Hollie can confidently recognise the skills you are looking for and is a natural when it comes to finding the right people for the right job. 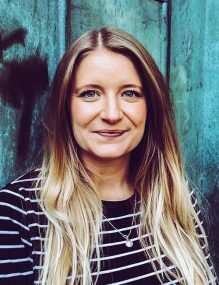 Hollie’s expertise lies in Digital, and her boundless drive, contagious personality and ever-growing network means she is the one to talk to for all your Digital needs. 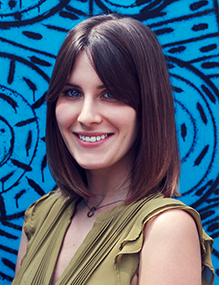 Molly is an experienced and diverse creative recruiter, specialising in the world of Digital Design. Molly has an honest and passionate approach to the industry, which means she delivers top results for both clients and candidates. Her delightful chat and love for all things creative means she is always excited to work with great talent and get stuck into a good portfolio! 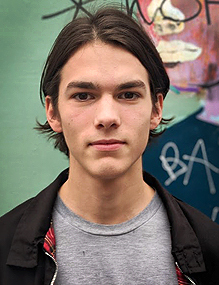 Starting his career as a Digital Designer, Charlie uses his knowledge of the industry and creative know how to partner with London’s leading Digital talent. 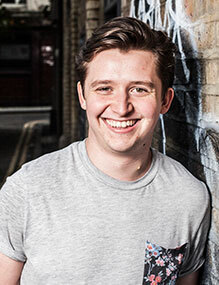 Focusing on the freelance market, Charlie utilises his contacts within the industry to help agencies and brands find highly sought-after talent, quickly and efficiently. As well as gracing you with his gift of the gab! As Head of Creative and Client Services, Mary-Kate is your first port of call for non-design roles. She brings knowledge and experience in recruiting from London and Australia and her intricate understanding of the industry really shines through in the talent she represents. What’s more, she has a great personality to match – you’ll enjoy working with her. 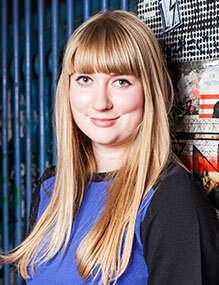 Emily has a passion for the creative industry, and has worked at some of the UK’s leading agencies. From client to consultant, Emily understands how an agency ticks and how important the ‘right’ people are to any team. Her naturally up beat personality means she forms brilliant relationships with clients and candidate’s a like; ensuring your search is not only successful, but enjoyable. 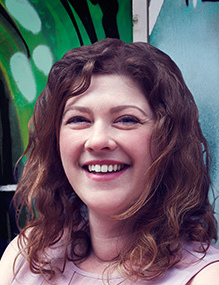 Abigail’s fresh, practical approach to the world of recruitment means she gets results. With experience working in customer and client services, Abigail’s talent lies in finding and introducing the best people on the market. As Operations Manager, Shelley is one of the driving forces that allows Tomorrow to grow from strength to strength. With a strong background in managing design studios and operations, Shelley’s skills are second to none. Shelley is our business encyclopedia, there to answer any questions and solve any problems! A key member of the the finance team, Paul is on hand to make sure everything runs just as it should. With a key eye for detail and a calm head, he is always on hand to answer any questions and help wherever possible. When he’s not crunching numbers, you will see Paul hitting the waves on the beaches of Spain! Joanne is our Studio busy body! On hand to ensure everything is running smoothly and keeping us all in check. Joanne makes sure the Studio is not only a lovely place to work, but a welcoming environment for all our guests. 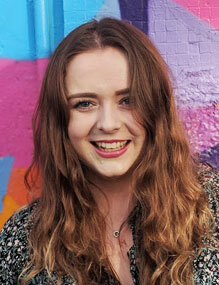 Coming from a background in support across the creative industry, Joanne has no problem keeping the team on their toes! 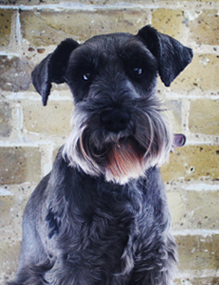 Rudi is always on hand to give you a warm (if loud) welcome to the studio. His inquisitive nature may well mean, you could be submitted to a bit of a sniff or a lick too. To register for any permanent and freelance opportunities please see our job opportunities page. For studio or marketing enquiries, please email shelley@tomorrowlondon.co.uk.